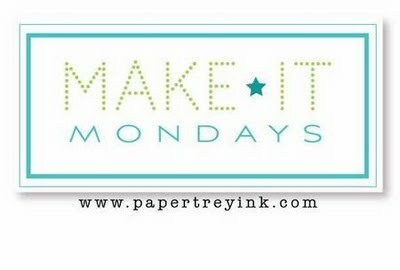 In this week's Make it Monday #89, Nicole shows us how to create a window for a floating image. This is quite easy to do, but I think the end result makes it look like it was difficult. My kind of project. Here is the card propped open. Here is a picture of how the card looks flat. I love how you can see just a bit of the sentiment and the stamping inside the card. I love this sentiment, from my new Over Under Easy. It is such a good natured twist on the usual 'get well', and I can see using it a lot. 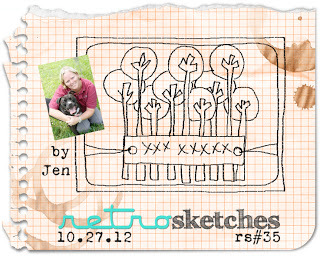 I have a quick post for a card I made for three challenges: ColourQ #160, Retrosketches #35, and CAS-ual Fridays #76. When I first saw the Retrosketches sketch, I immediately thought of the balloon dies that I just got from Lil Inkers. I'm not sure that this card came out exactly as I planned, and I did smudge a bit of the ink, but my daughter thought it was cute, so I am posting it. I would also like to thank the kind folks at ColourQ, who selected this card of mine last week as a Courtier. I am thinking of all my friends who are in the path of the hurricane, and hope that you can stay safe and dry. I had some time to play around with this week's CAS(E) this sketch #3, and I have to say that the more I played with the sketch, the more I liked it. First, I thought I would make a Chanukah card, using my new Menorah Medley dies from PTI. Shimmer paper is so beautiful in person, but doesn't work very well in my photos. I ended up having to flip the sketch because I messed up the embossing of the sentiment, and didn't want to waste my precious shimmer paper, so I just turned it over and tried again. I decided to play around with this sketch some more, and tried a few versions for next year's Rosh Hashanah cards. Nothing like being ahead of the game, since it won't roll around for another 11 months. I made this card using all the pieces that were cut out from the star of David die cut above. The card in the middle is my favorite, so that is the card I am linking up to this week's CAS(E) this sketch. Do you have a favorite? I managed to sneak in a bit of crafting time today, in between soccer games. I made a card using this week's Make it Monday #88: Positive and Negative Die Cuts. This is such a cool and easy technique for adding dimension to a card. I am also submitting for this week's CAS-ual Fridays CFC 76: Kraft On. I started with a die cut vase from Mega Gracious Vases. I stamped with Pure Poppy and then stamped again with the Crackle Background stamp in Versamark. I embossed with UTEE a few times to get that vase nice and shiny. You can see just a bit of the negative die cut from Turning a New Leaf. I made two sets of cards for some friends' birthdays using the bead die and bead paper. I was inspired by this project by Christina. I bought the paper because I loved the colors and patterns, and thought I would use it more for cards than beads. I have made a few beads, but haven't done anything with them yet. 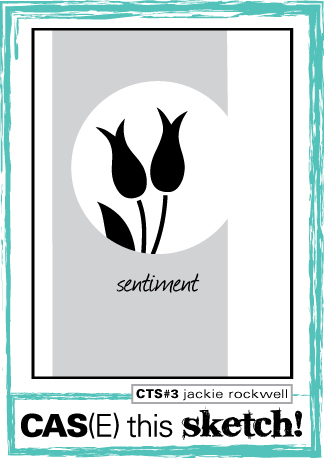 For the card set, I used the same pattern on every card, and just varied the sentiments. 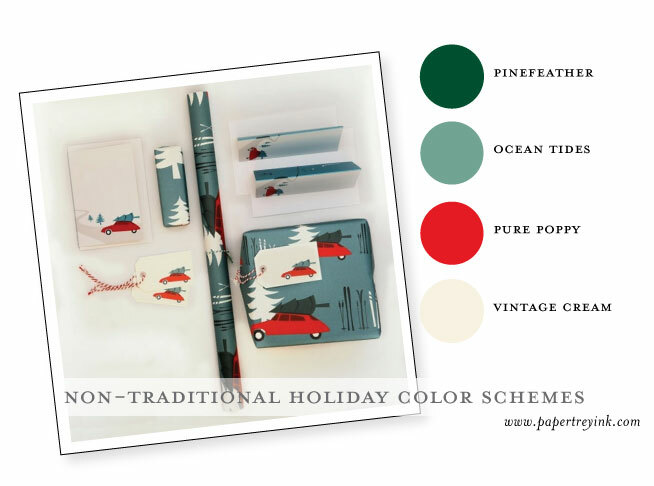 The patterned paper is so thin, it is perfect for lining envelopes. Have you been wondering where we were? We are late to post this month, because life has gotten in the way. But, it is finally here--one of my very favorite days of the month--Four-of-a-Kind posting day, with this wonderful kit provided by Kim this month. I think most of my readers know what is about to happen, but if you are new, please click here to get the scoop. Kim's favorite holiday is Halloween, and so it was only fitting that she should be the hostess for the month of September. That worked out so well for me, because she sent us a package chock full of Halloween spookiness and sweetness--with lots of goodies that I don't have. It is always such a treat to get a package of stamps and dies that I don't have, but wish I did. As she often does, Kim sent me a package full of ingredients that just assembled themselves into cards. And, boy did she send a lot. One of the things in the kit was this adorable seed packet envelope containing a delicious piece of chocolate. It was only a moment's work to gobble down the chocolate, stick Kim's creation onto a piece of the patterned paper she sent, and call it a card. Sweet! The rest of the cards were just that easy (but less delicious). The only thing I added was a bit of distressing with Tea Stain ink. Kim even sent pieces to make a zipper card. And I remembered to take a picture of it before I assembled it. If you think that is all she sent, then you would be mistaken. I had enough to make these two spooky treat holders, that I used for the Waltzingmouse Blog Party earlier this week. This was such a fun kit to work with. It features so many Waltzingmouse Halloween sets that are now on my wish list. I am now convinced that Waltzingmouse has the very best sets for Halloween. Thanks, Kim, for sending out such a wonderful kit. I made so many cards, and still have left overs for the future. 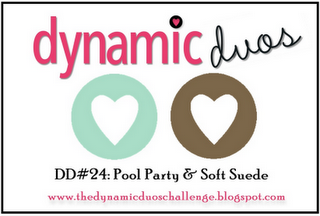 If you want the details of everything that was in the kit, please head over to Kim's blog. When my friend, Cathy, posted this card, I immediately asked her if she would send me some die cuts. I fell in love with her card and that incredible spooky silhouette, and wanted some of my own. 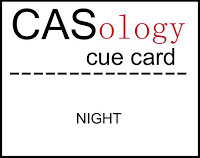 So, when I saw the cue card word for this week's CASology challenge, I knew just what I was going to do. I used one of the images from my new Winter Snow Globe set to stamp twinkly stuff all over my sky, and then embossed it with silver embossing powder. The moon is a circle punch that has been punched again in the middle. I put some yellow and orange card stock behind the house and pumkin. No other tricks here. Now that I am looking at it, I wonder if "eeks" is really a word? Oh, well, it is now. I made it out of Paper Smooches Alphadots. Love those.